I know about metering out program updates but to not be offered the newest version of an antivirus program three weeks after its release seems ridiculous. And this is on four computers running MBAM. Microsoft is able to get out its updates to tens of million of users usually within a day or two but MBAM can't get their update to their users in a timely manner? Yes I know I can manually install the update but what about people who aren't in the know? This program should not take this long to offer an update. Double-click to run MB-Check and within a few second the command window will open, press "Enter" to accept the EULA then click "OK"
Yes, I agree with you, it should not have taken this long for the update to be offered. I will provide this feedback to the Product team on your behalf. If there is anything else that we can do for you or any further input you have, please let us know. @bru can you please download and run the support tool from the instructions below and then provide the zip file it creates? I'd like to look over your logs and make sure there weren't any errors while checking for updates. 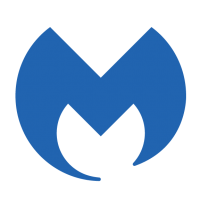 Please download the Malwarebytes Support Tool to assist us in helping you further with your issue. 1. Please save the file where you can locate it. 2. Then close all browsers and locate the file you downloaded and double-click on it to install and run the program. 3. Place a checkmark on the "Accept License Agreement" checkbox and click the Next button. 7. Close the Malwarebytes Support Tool and locate the file: mbst-grab-results_zip on your desktop and upload that as an attachment to your next reply. Thank you. I am pretty confident everything is working correct with MBAM on my various computers so I don't feel the need to attach logs etc. As a matter of fact one computer was offered an update the other day (not sure at this point if it would be 3.4.4 or 3.4.5). But still that is only one out of four computers after almost a month of 3.4 being available. I read the explanation of updates being metered out as the equivalent of a lottery. IMO after a month of a new version being available all users should have "won" the lottery to receive the upgrade. I believe part of the issue is frequency of update checks. Under normal conditions Malwarebytes schedules hourly updates so that's 1 "lottery ticket" every hour of every day that the machine is running. This drastically increases the odds of receiving the update/upgrade compared to just checking on an occasional basis when running a scan etc. It's not an ideal solution as your situation has illustrated and I believe that if they were to implement a system by which it would factor in time, tracked through the config files, along with a kind of pattern analysis based on historical data showing how/when/how often each particular system checks for updates, it could be made to deliberately bump up the odds of offering the update to systems like yours to compensate for the lack of frequent update checks, sort of like bumping you up in the queue based on the fact that you don't update as often as someone running Premium with automatic updating set does this way you aren't as likely to be left out in the cold for so long, stuck on an outdated build. These are just solutions I just came up with off the top of my head, so I'm certain that the Product team can come up with some kind of workable solution that would please users such as yourself. I'm sure there's been plenty of update checks, all computers are powered on 24 hours a day and MBAM is active on all of them. They do sleep occasionally but actual use is a minimum of two hours and on several machines greater than 12 hours of the computers being awake and able to do update checks. As the other person who responded and then got his own thread said there's been no issue with the update packages on any of them. Unfortunatley I have yet to completely win the Malwarebytes update lottery . Hehe, I hear you. Yeah, it's not an exact science unfortunately, and I also suspect that because Malwarebytes uses several CDNs across different geographic areas and the algorithm they're using to determine when and who are offered the upgrades likely varies based on several factors such as time of day, location and any number of other potential factors, it could just be that when your machines are checking for updates, that it's during busier hours when many other machines are also, resulting in a higher probability that others will "take your spot" so to speak. It could even be that it looks at things like available bandwidth and/or current network load to determine whether or not to attempt to download the upgrades since they do consume quite a bit of bandwidth and aren't exactly tiny in size. Really though, without having detailed first-hand knowledge of the exact inner workings of the current metering/throttling system for rolling out the patches, I can't know for certain, but hopefully they will figure out a way to get things ramped up to a higher degree sooner so that more users may get earlier access to these important product updates.